An earlier blog explained that 1775 had engine problems. The bus is now undergoing repairs at our depot. It displayed some signs of overheating and water loss, also a little black engine oil visible in the cooling radiator top tank, clear evidence of the engine trying to pressurise the cooling system. Classic early signs of head gasket failure on one or both cylinder heads. 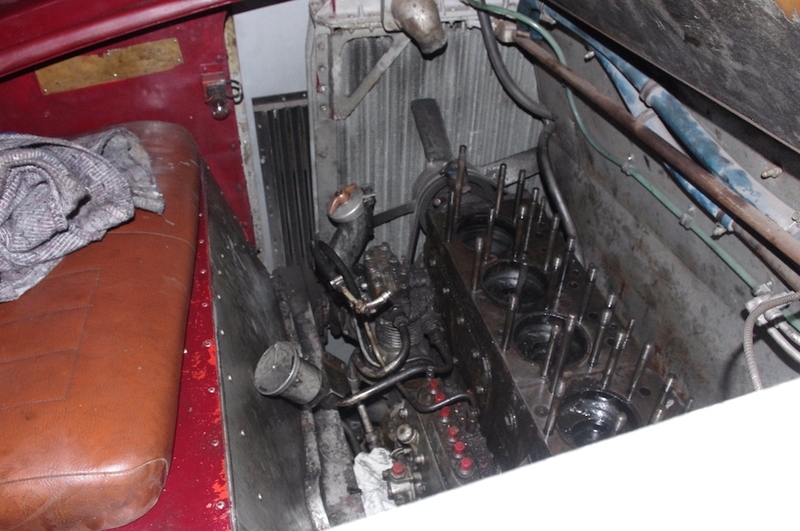 Initial Investigations involved running the engine with rocker covers off. There was clear evidence of injector tube seal failure on the front cylinder head as well, resulting in some coolant passing up into the rocker boxes and trickling into the sump. This is caused by galvanical corrosion between the dissimilar metals that the head and the injector tubes are made of, and is becoming a regular issue with both Leyland and AEC engines that are now in the region of 60 years old. What’s been found so far. Two days in, both cylinder heads removed. No evidence of issues with the back cylinder head but the front cylinder head gasket showed clear signs of failure in the region between number 2 and 3 cylinders. Exhaust gases had been passing up one of the 23 mounting studs and, as a result, it took five hours to persuade the front cylinder head to come off. Once unbolted the back cylinder head came off in ten minutes in text book fashion! Ah, the joy of old buses. It’s worth describing this in detail to illustrate the amount of work needed to keep our buses on the road in good condition. It needs to be remembered that they were designed for a life of about 20 years so it’s not surprising they develop problems after 55 years.